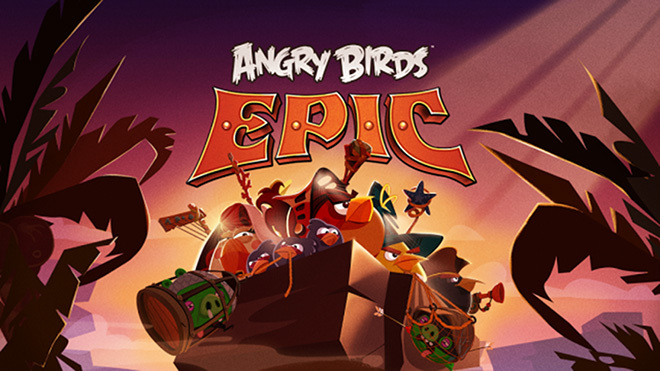 Rovio has released the latest installment in the popular Angry Birds series of games, called the Angry Birds Epic. Although based on the same characters that we have been seeing for the past several Angry Birds games, this one is actually an RPG title and not the usual bird-flinging action game. As is the case with RPG games, you have a lot of flexibility with your weapons and abilities. You can craft your weapons and unlock and upgrade your abilities, including character, armor, weapons and potions, as the game progresses. It’s a turn-based RPG and the game switches back and forth between the birds that you control and your enemies, the pigs. This sounds like a fair bit of departure from previous Angry Birds games and could be fun for those into RPG. Unfortunately, this is yet another FTP or free to play title, which means you can expect a fair amount of annoying ads and in-app purchases bring stuffed down your throat every time you try to play it. Angry Birds Epic is only available in Australia, Canada and New Zealand right now and only on iOS devices as part of a soft launch. The game is expected to release in other regions and on other platforms in future.